About one in every four or five New Zealand women gives birth by caesarean – an operation where your baby is born through a cut made in your tummy (abdomen). The operation is done by an obstetrician or obstetric registrar (a doctor who cares for women during pregnancy and childbirth). If you've had a caesarean before, you may be thinking about how to give birth this time. Whether you choose to have a vaginal birth or a caesarean, either choice is safe for most women, but with different risks and benefits. 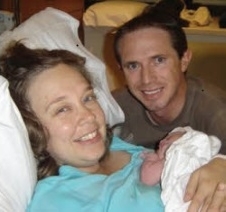 why you had the caesarean – was it an emergency? what type of cut was made in your womb (uterus)? if you're worried about anything. You, your midwife or LMC, and obstetrician, will decide whether a vaginal birth or a caesarean will be best. What you want to happen, and whether you plan to have more children will affect your decision. What is trial of labour (TOL)? A trial of labour is the term used when you've had a caesarean before but plan to try to give birth vaginally. If this is successful and you give birth vaginally it's called a VBAC, which stands for "vaginal birth after caesarean". This includes birth assisted by forceps or ventouse (suction). What is an elective caesarean? 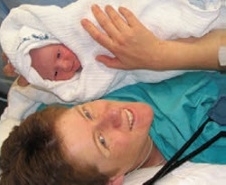 An elective caesarean is a planned caesarean. It usually happens in the week before your due date, unless there's a good reason to do it at a different time. At your hospital antenatal visit, you and your obstetrician will decide the date you have your caesarean. Some women ask about having a sterilisation at the same time as their caesarean. It's possible for both operations to be done at the same, so talk to your midwife or obstetrician if you would like more information about this. What are the advantages of a vaginal birth? if you have more children, you're more likely to have uncomplicated normal births. How likely am I to give birth vaginally? If you choose it, you're very likely to give birth vaginally. When women have had a straightforward pregnancy and go into labour on their own, about three out of four women (75%) give birth vaginally. If they've previously had a vaginal birth, that rises to a nine out of 10 (90%) chance of a successful vaginal delivery. About 70 to 75% of women who've had two caesareans and then go into labour have a successful vaginal birth. if you were obese (a body mass index (BMI) over 30) at the start of your pregnancy. What are the risks of labour after a previous caesarean? 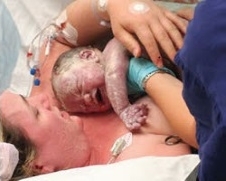 There are some risks involved with labour and a vaginal birth after caesarean (VBAC). You need to balance them against the risks of having another caesarean. About one in four women who go into labour after a previous caesarean need a caesarean for the current birth, sometimes as an emergency. But this risk is only slightly more than if it was your first time giving birth (one in five, or 20%). Usually it happens because your labour is slowing, or the obstetrician is worried about you or your baby. Compared with women who choose a planned caesarean, you have a slightly higher (1%) chance of needing a blood transfusion or getting an infection in your uterus. There is a very small chance that the scar on your womb will weaken and open before birth. But this happens in very few women (about 0.5%). If the scar opens completely (ruptures) this can be serious. Being induced increases the chance of this happening. Monitoring your baby closely during labour can help detect signs of problems. If there are signs of problems, you'll have an emergency caesarean. The risk of your baby dying is very small – just two in 1000, or 0.2%. This is the same as if you were a first-time mother in labour. But it's slightly higher than if you have a planned caesarean, when the risk is 0.1%. When is it safer to have a caesarean? What are the advantages and disadvantages of a planned caesarean? The main advantage of a planned caesarean is that there is virtually no chance your existing scar will rupture. But there are quite a few disadvantages. Each caesarean leaves you with more scar tissue. This increases the possibility in future pregnancies of the placenta being low lying (placenta praevia) or growing into the scar, which makes it difficult to remove (placenta accreta or percreta). This can cause complications in future pregnancies, including bleeding, which can result in a blood transfusion being needed or even a hysterectomy (removing the uterus). A repeat caesarean may be more difficult and take longer than the first operation. This is due to the scar tissue from the previous caesarean section. The scar tissue can also change the normal placement of your bladder and bowel, which can make them more prone to damage during the operation. Bloods clots are a serious potential complication of any surgery, including caesarean section. A blood clot in your body is called deep vein thrombosis (DVT) and a blood clot in your lung is called a pulmonary embolism. A pulmonary embolism can be life-threatening. All women who have a caesarean section are therefore given a medication called enoxaparin (Clexane) to reduce the chance of developing blood clots. You may need extra help at home and won't be able to drive for about six weeks after birth (check with your insurance company). Breathing problems are quite common after caesarean, but usually don't last long. Between 3 and 4% of babies born by planned caesarean have breathing problems compared with 2 to 3% of babies born by vaginal birth after a caesarean. Occasionally, babies need to go to the Neonatal Intensive Care Unit (NICU). Waiting until seven days before your due date makes it less likely your baby will have problems. One or two babies out of 100 may receive accidental cuts during the caesarean but these are usually minor and heal without further harm. What happens when I go into labour when I'm planning TOL? When you think you're in labour, or if your waters have broken, contact your midwife or LMC for advice. Your midwife or LMC may meet you at your home or at the hospital to assess what's happening. Once your labour is established, your midwife or LMC will provide your labour care and work with the hospital doctors to monitor you and your baby closely. Wireless monitoring is available, so you can move around freely and use the birth pool if you wish. If you want to use the birth pool, you should discuss this with your midwife or LMC during your pregnancy. You can choose to have an epidural for pain relief. It's best to give birth at the hospital, so you can quickly have a caesarean if you need one. What happens if I don't go into labour when planning TOL? have a repeat elective caesarean. Some women choose to trial labour but opt for a repeat elective caesarean rather than induction if they don't go into labour spontaneously. What happens if I have an elective caesarean planned and I go into labour? This happens in 10% of women. If you go into labour, phone your midwife or LMC to let them know what's happening. It's likely that you'll have a caesarean if it's safe to do so. If labour is very advanced, or if it's early (before 37 weeks), then it may be better to continue with labour. The obstetrician from the birthing suite will discuss this with you. Written by Maternity Outpatients Department, Christchurch Women's Hospital. Adapted by HealthInfo clinical advisers. Last reviewed June 2018. Maternity Outpatients Department, Christchurch Women's Hospital. Birth after caesarean section – information for women and their families/whānau. 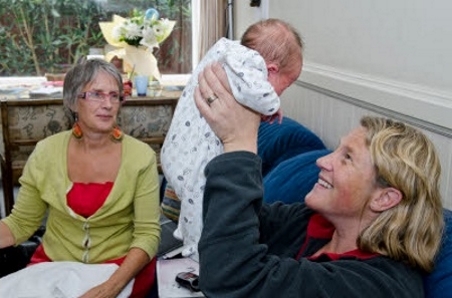 Authorised by director of midwifery, Christchurch Women's Hospital. May 2013. Ref. 6708.